Will these Internet crazes never end? Just in case you’ve been living under a rock someplace and haven’t heard about the “Twitter” revolution, guess what: it’s arrived and this time around as a CIO wanta-be you should be an active participant. Just What Is This Twitter Thing? If you’re already “tweeting” every day, you can skip this part! In a nutshell, Twitter is sorta like the Citizen Band radios of the mid to late 1970s. 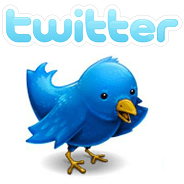 Once you set up a Twitter account, you can either use the Twitter web page or download and install one of countless Twitter utilities to send out short messages telling the world what you are doing at any given point-in-time. The key word here is “short” – a Twitter message (a “tweet” to those of us in the know), is limited to no more than 140 characters. Clearly we’re not talking about sending out emails here. Just to round out our comparison of Twitter to CBs, with a CB you needed to be on a certain radio channel if you wanted to hear what someone was saying. In the world of Twitter you need to be “following” someone if you want to be able to receive and read their tweets. Why Should A CIO Care About This Twitter Thing? So outside of being the latest Internet craze, why should someone who is interested in becoming a CIO spend any time looking into this whole Twitter thing? It turns out that there are three reasons: communication skills, info, and networking. One of the most important and challenging things that a CIO does is to communicate with others. Although what you want to say may be clear in your head, actually getting the words on paper (or a screen) that will make it clear in your IT staff’s heads is a completely different matter. Twitter’s limitation on how much information that you can pack into a single message, 140 characters, is both a curse and a blessing. It’s a curse for those of us (myself included) who are very verbose and who will use two words when one would do just fine. It’s a blessing in that if you want to clearly communicate an idea in just 140 characters then you’re going to have to do a great deal of self-editing. You’re going to end up throwing away all of that fancy prose that you use and boiling your tweets down to just the core essence of what you want to say. This is exactly what you should be doing when you are communicating with your team – getting rid of the fluff and just leaving the good stuff. By getting involved in the world of Twitter and actually spending time hand crafting your tweets, you’ll refine your skills in this area. Sure, you could pay an expensive assistant help you refine your every communication, but it sure is cheaper to spend time on Twitter and learn to do it yourself. A nice side benefit to becoming active in the world of Twitter is that you’ll grow a community of people who choose to follow you. This collection of people who may see every tweet that you send out are an incredibly valuable resource. Staying on top of the world of IT is not an easy thing to do. Finding the information that you need and running what you are going to say by interested people are critical things that you need to do. Your Twitter followers are the perfect source for information source recommendations as well as being able to provide quick feedback on just about anything you want to run by them. Even if you get something wrong, you won’t embarrass yourself in front of your IT team. Finally, networking is something that every CIO should be doing, but none of us ever seems to have enough time to do well . Sure you’ll have a CIO job eventually, but what job will you have after that one? You always need to be working to build your network and Twitter is a great tool for doing this. The more followers that you have in Twitter, the better your ability to get the word out about the great work that you are doing as a CIO. No, not every one of your followers will care about the problems that you are solving (it’s a global service after all), but they sure will be able to pass the word on about all of your skills and experience and you’d be amazed at how powerful a force this can be. It’s starting to look as though the Internet tool called Twitter is here to stay. As more and more people sign up and start to “tweet”, this is starting to become a genuine communication tool. CIOs and future CIOs need to dive right in and start to use Twitter. The benefits are three-fold: using Twitter teaches CIOS how to concisely express their thoughts, it provides a new way to gather information and test ideas, and finally it is a great way to do professional networking. All new things can be a bit intimidating at first. CB radios had their own lingo and user community when they first appeared. Don’t be nervous about using Twitter, get started and find out just how eloquent you can be in just 140 characters! Question For You: : Do you think that you should start advertising your “Twitter handle” to your staff so that they’ll start following you? CIOs Ask The Question: Is Twitter A Friend Or A Foe?